It has been a day of celebration for a couple of Nigerian celebrities – what with Rita Dominic winning Kenya’s prestigious Kalasha Award and D’banj being up for four awards at World Music Awards – and there is more as we get news of Monalisa Chinda being recognised in Germany with not one but two awards. In recognition of her distinct roles and diverse works of advocacy, Nollywood star actress Monalisa Chinda was announced winner of the Adler Awards (www.ayf.de) and NEGA (Nollywood E-Golden) Awards, respectively. Presented to carefully selected Africans who have shown the greatest promise of contribution to human well-being, through the application of their intellect and knowledge towards the development of their communities, the prestigious Adler Awards was held in Bonn, Germany on December 1st, while the NEGA Awards which celebrates creative talents took place on December 8th 2012. The multi-talented actress has also been busy putting together an eccentric Christmas dance production to be unveiled soon. 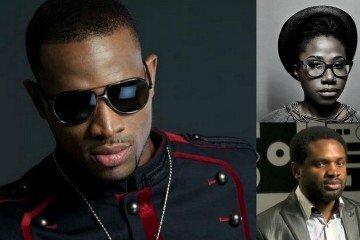 FAB News: D’banj, Asa, Femi Kuti and other top African artists to sing for the ONE campaign theme song.